In healthy people , it may modestly boost memory and cognitive speed. It can help with memory problems caused by dementia or Alzheimer's. It has been said t elp the prevention of progression of dementia symptoms. 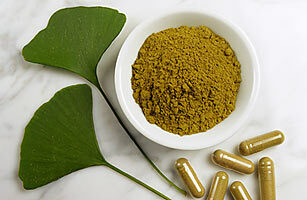 It may also help with leg pain caused by clogged arteries and circulation. It also helps with PMS symptoms like breast tenderness and mood changes. I found while taking Ginkgo that my energy levels increased significantly for me to notice and that my PMS symptoms were lowered. I usually have bad PMS.. as well as extream fatigue. the only downside is that i found while taking the Gingko i had heart burn.I often would have a hard time concentrating on things and found that while taking the supplement i was less agitated and able to calm myself and remember things.